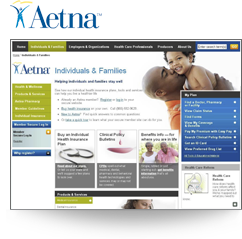 Aetna sought to build a portfolio offering for individuals and families to capitalize on changes in the healthcare insurance category. DVI was asked to help develop a financially sound launch and expansion plan covering all channels of distribution, both direct and third-party. Teamed with partner agency TDO and Aetna’s Strategic Marketing Group, we assessed the business environment, consumer wants and needs, the competitive landscape and internal capabilities. We developed a comprehensive marketing strategy, a multi-channel go-to-market plan (DRTV, print, DM, email, key word search, events and guerrilla marketing), an internal infrastructure development roadmap and high, medium and low ROI projections. Our initial pilot exceeded expectations upon which a rapid expansion plan was created, in phases, to allow for careful control versus test experimentation. Over time, coverage in 30+ states has been achieved meeting business objectives for both effectiveness (# of members acquired) and efficiency ($ cost per member) and is today, a multi-billion dollar business!